I first read about ramps in Bon Appetit last spring. I had no idea what they were, but the idea of vegetables and greens unknown intrigues me. It inspires me to try new things. 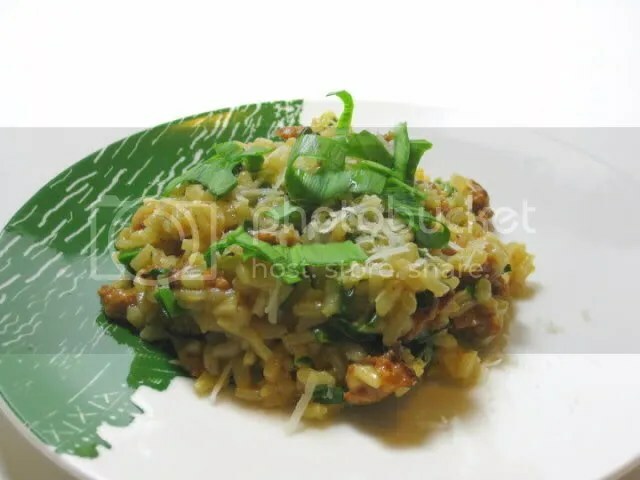 Ramp risotto with Italian sausage topped with Parmesan and peccorino cheese. Last Sunday was the first Baltimore Farmer’s Market of 2010, and I was looking forward to loading up on fresh, local produce. But by the time I rolled in late there was little left, if there had been many vegetables to begin. I guess the season is still pretty early for actual fresh, local produce, so my boyfriend and I managed to grab some fish, beef, and milk before we left. The lack of vegetables though was a gap we had to fill, so we made a beeline for Whole Foods and there, for the first time, I saw a table full of fresh ramps. While they were on the pricey side ($12.99/lb!) I had to give them a try, to see how different they were from spring onions or leeks or garlic or whatever. A quick search of Epicurious brought me to a recipe for ramp risotto with Italian sausage. Since I actually had all of these ingredients in my kitchen, it kind of sealed the deal that this was going to be part of dinner that night. Not every recipe comes with a good story. This is one of them, because the story is this…I saw this recipe in the most recent issue of Cooking Light and though to myself, I think I will try this. And I did. 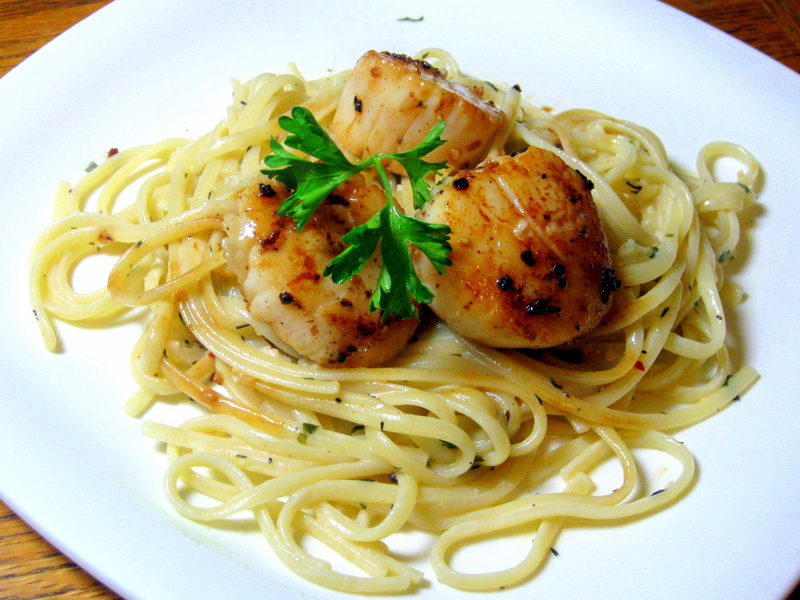 A simple recipe that highlights the fresh flavors of each ingredient. 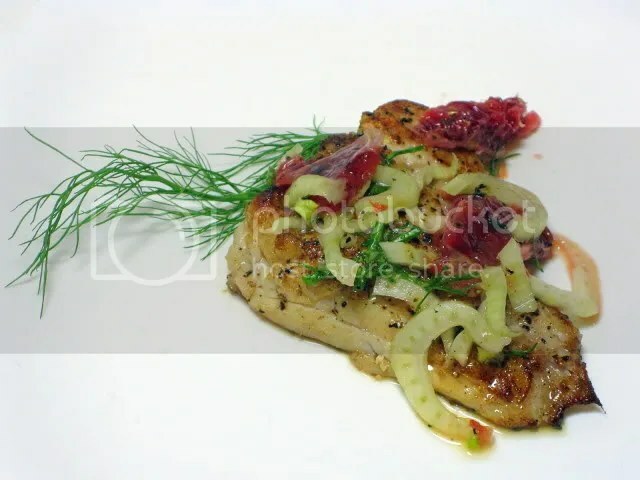 The snapper is wild caught and the fennel and blood oranges are in season. The fish is lightly salted and peppered, and a splash of lemon and white wine finish it off. It took less than 30 minutes to prepare and they boyfriend and I were able to sit down in our messy apartment to enjoy a lunch that looks and tastes a lot fancier than it really is. Lately, I’ve been up to my elbows in tomatoes. This? is a good thing. The boyfriend and I have been hitting the farmers’ market week after week since our return from Rome, and tomatoes are tops on our list. Our tomato purchases seem to increase from week to week because they’re just that good and there’s so much you can do with them. This week, he was in New York for a bachelor party and I went to the market alone. We’re heading to the beach next weekend, which means no market for us (we’ll hit some of the produce stands on the way up). So what did I stock up on? Tomatoes? The bag was so heavy I had to lift it with both arms, tilt backward to counter the weight so I wouldn’t fall forward and land on my face. But I had to have them. A light, fresh tasting meal with a complement of asparagus and artisan bread. Because what is summer without tomatoes, after all? The ones you find at most grocery stores are flavorless and hard. Their flesh is orangey instead of a marvelous red. You can’t smell them and you can hardly taste them. Even in summer when tomatoes are in season, there’s really no comparison between store and soil. And the heirloom tomatoes! If you only went to the store, you’d never know about Mr. Stripey or the Cherokee Purple? I’ve making lots of salads and salsa and slicing them up for caprese salad and for burgers. I’ve been throwing them into sauce pans and cooking up spaghetti puttanesca. 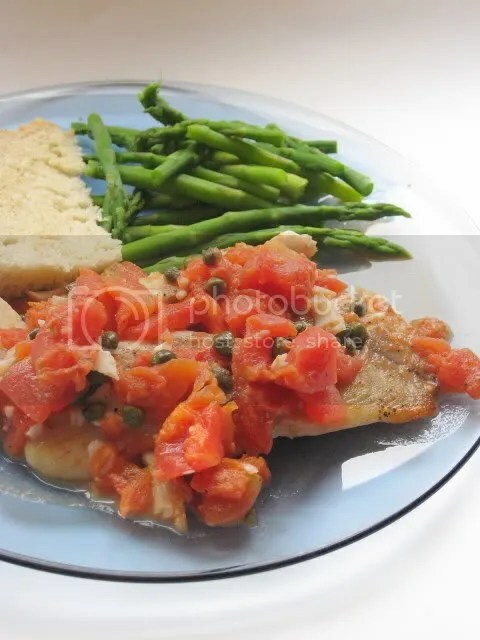 I’ve been dicing them up and cooking it with fish, and in this recipe in particular, which is so good that I want to tip the tomatoes directly into my mouth and skip the fish altogether. But trust me, the fish and the sauce together? As my friend Rob would say, it’s ACES. Growing up in Wisconsin, my mom would periodically bring home blue crabs from the Asian food mart in downtown Madison. The crabs would still be kicking around–nothing but fresh and the best for my mom–and I would gently prod them with a chopstick to see if any of them would make a grab for it. (While I often imagined one of them making a break for it and skittering along our linoleum floors on its way to freedom, this never happened. ) Her method of cooking was clean and steam. She’d remove their shells, scrap off the gills, and put them on plates in the wok, which served as a makeshift steamer, and not long after, we’d have sweet, fresh crab for a summertime feast. Steamed crabs covered in Old Bay at Costa's Inn, Baltimore, Maryland. Now that I live in Maryland, though, I’ve learned to eat crabs the Maryland way–which is, steamed whole and covered in a salty, spicy layer of Old Bay seasoning, and thrust onto a table with mallets and knives and cold beer. My first, and probably only crab feast this year happened last weekend, and boy, was it a treat. But it wasn’t to be the only crab I would have even that week. 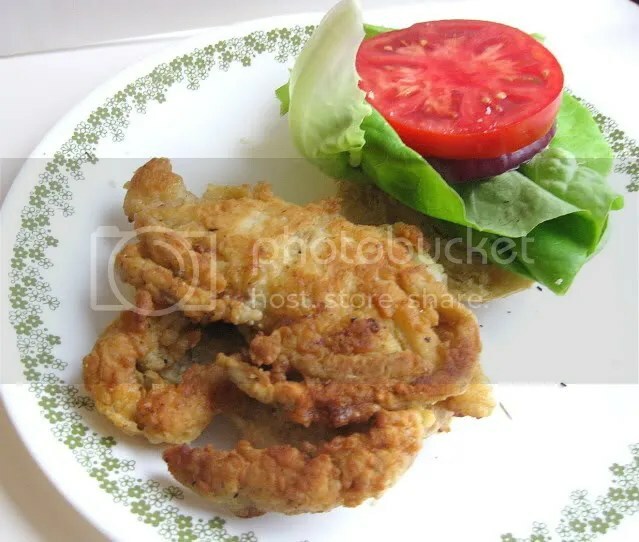 Earlier that morning, the boyfriend and I went to our local farmer’s market and what did we find for sale but soft-shell crabs! While this farmer’s market is sorely lacking in cheeses (if you are ever in Madison, Wisconsin, you must check out their farmer’s market and stock up on squeaky fresh cheese curds) it makes up for it with other local specialties. Looks like a spider...tastes like a dream. Now, I’ve never actually worked with crabs before. That was always mom’s jurisdiction. This was a bit daunting. The crabs were still actually alive as we carried our bounty home, and I stuck them in the fridge, a little unsure after the initial food excitement subsided. How the hell was I to clean and prepare these odd little crustaceans? In the last week I’ve had what I’ve considered three incidents of cooking failure. On Sunday night I slow cooked a bit of ham I carved off a larger hock I’d squirreled away in the fridge shortly after Easter since it was still on sale, but it was drier than I would have liked and the honey glaze I used was too sweet. 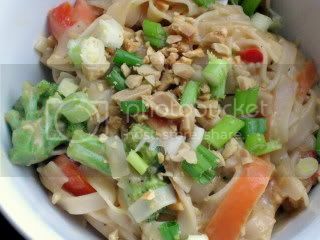 Then Tuesday night, after seeing a recipe for Thai spicy peanut and chicken noodles I thought, YUM! I loosely followed the recipe I found, but what resulted looked better than it tasted. No depth of flavor. 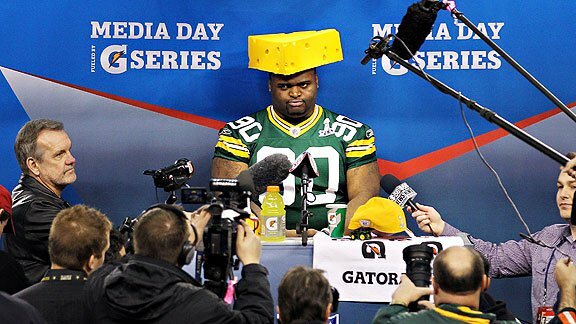 Too much peanut butteriness. To compensate for that, I thought, I will go for a tried-and-true standard for lunch: the quiche. Maybe it was a bad idea to use the ham for Sunday in the quiche, but I thought, c’mon, how can I quiche fail? Well…it can. Even my boyfriend said it wasn’t quite up to snuff, and except for about 2 occasions in the last 3 years, he usually gives my meals the thumbs up. 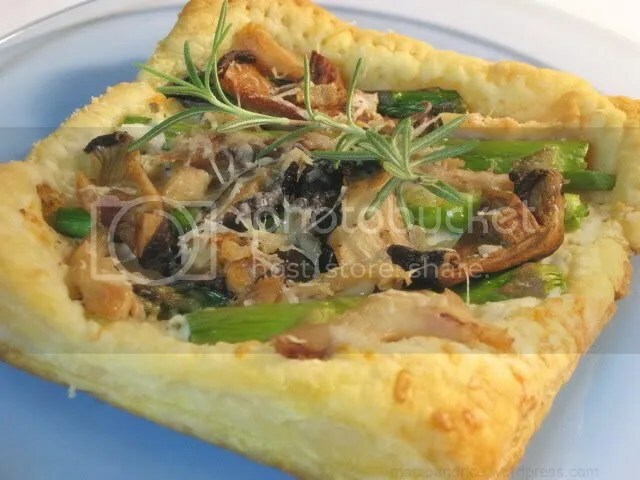 A puff pastry tart with shitake mushrooms, asparagus, cheese, and shredded rotisserie chicken. And, so to bolster my self confidence one more, I thought I’d come back to the blog and post about a recipe that succeeded! I present to you the asparagus and mushroom tart, which I made for a quick dinner on several occasions and then made again for Easter as a sort of appetizer to share. When I made this I wasn’t really sure I was going to like it. I’m not particularly excited by black beans or cabbage. I figure at best, I’d have a relatively healthy and budget-friendly meal for me and the boy, and that in itself would be a win. That’s all I was going for. 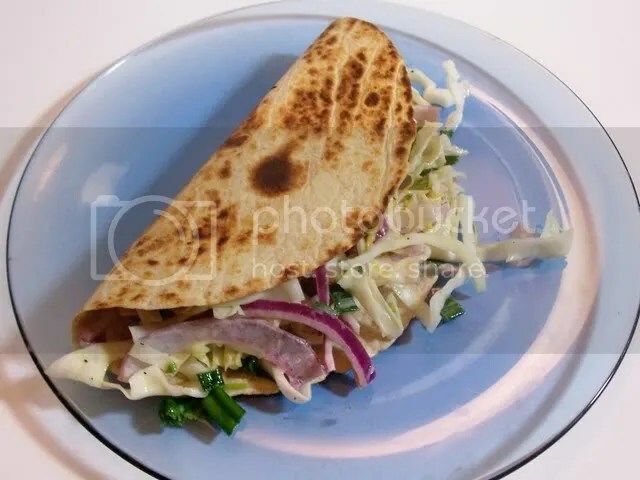 Whole wheat tortillas grilled and folded in half make enormous and delicious taco wrappers. But man oh my. I really enjoyed this. Really, really. The cabbage slaw in particular. I could have gobbled it up by itself, but in the taco it served as a great counterpoint to the warm beans and chicken resting inside waiting to be consumed.